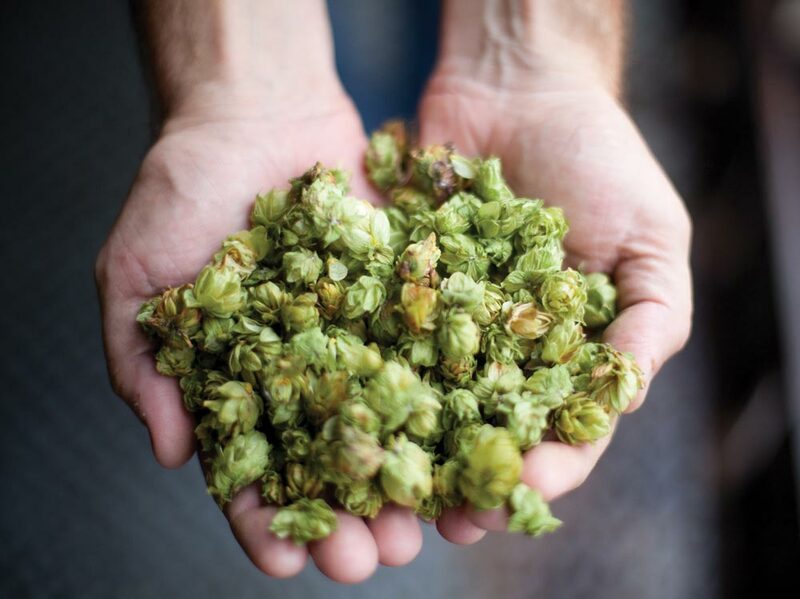 Not many people may know it, but Thomas Jefferson liked brewing beer—lots of it. Historians say he made the equivalent of 6,400 of today’s average-size bottles each spring. 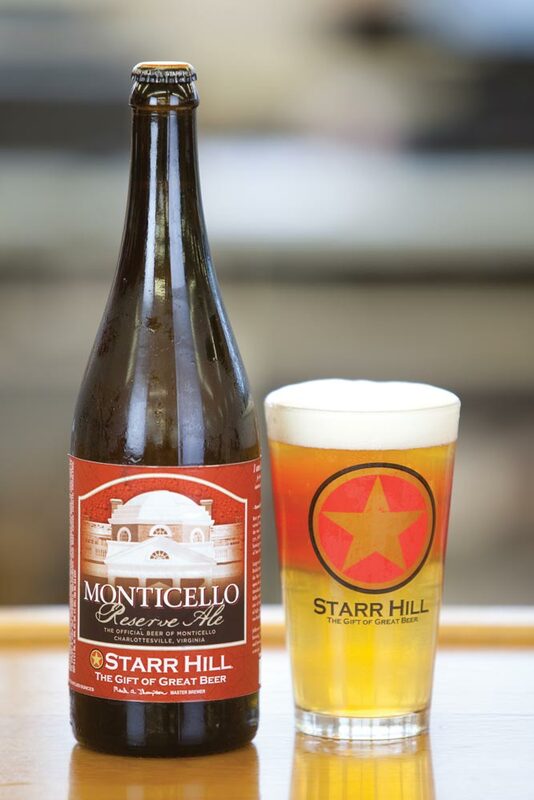 As a tribute to Jefferson’s proclivities for beer making, Mark Thompson’s Starr Hill Brewery in Charlottesville has been making a batch of beer for the last two years called Monticello Reserve Ale, a 21st-century imitation of what was served at Thomas Jefferson’s famed estate. Thompson isn’t simply a brewery owner. He’s a sort of professor of beer, teaching the popular “Short Course on Beer Tasting” through UVA’s Lifetime Learning program. 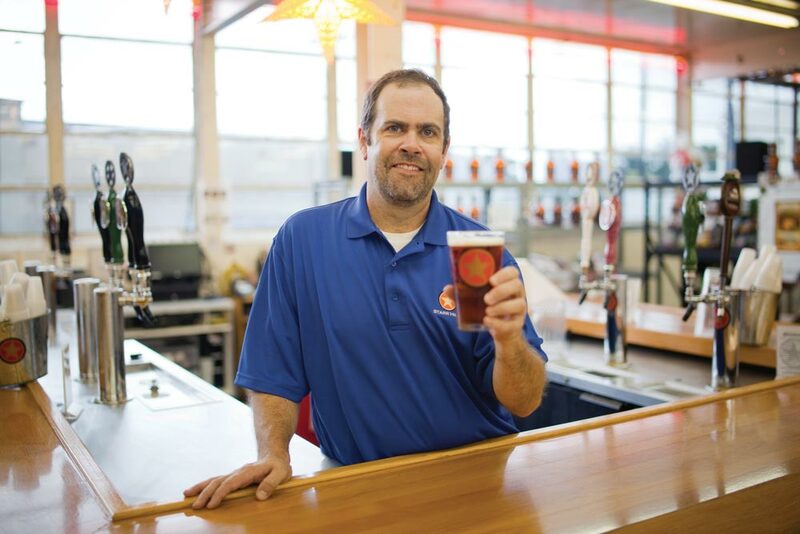 Armed with a master’s degree in biology, Thompson has a scientific understanding of how creating beer works, and an understanding of how today’s process differed from Jefferson’s time. Jefferson, for instance, didn’t have access to barley, a key ingredient in today’s beer. Instead, he used wheat and corn, which gave the beer a sweet, buttery flavor, Thompson says. For Starr Hill’s Monticello brew, Thompson uses flaked corn, along with wheat that’s been heated and malted. The end product is what Thompson calls a “lightly hopped wheat ale” with a sweet aftertaste of corn. Jefferson stored his beer in wooden casks and then had it poured into ceramic jugs. The total process would take about a month, Thompson says. Even though he made copious amounts of beer, Jefferson didn’t sell any of his brew commercially. Beer was seen as sort of a table liquor in those days, so Jefferson likely served bottles around the Monticello estate, where it was enjoyed by family members and visiting dignitaries alike, Thompson says. Jefferson didn’t learn the craft on his own. An Englishman named Capt. Joseph Miller, presumably an experienced beer maker, was detained nearby during the War of 1812 and brought to Monticello to show Jefferson how to brew. This meeting propelled Jefferson’s brewing interest to a new level, Thompson says, as he reaped the benefits of Capt. Miller’s expertise. Presidential beer making is a tradition that continues today, although in a very different fashion. Several brews are currently made at 1600 Pennsylvania Ave., including a honey ale and a honey porter, Thompson says. They are made with modern devices that aid fermentation, equipment that Jefferson could not have even fathomed. Why does this article make absolutely no mention of Peter Hemings, the enslaved person who actually did the brewing?